Lighten the mood with these big green frog funny face stress balls. These frog funny face stress relievers will add a fun and relaxing element to your promotional campaign. You can custom imprint these frog funny face stress balls with a cute phrase or message. Han them out at shows and events to get your message across the road. 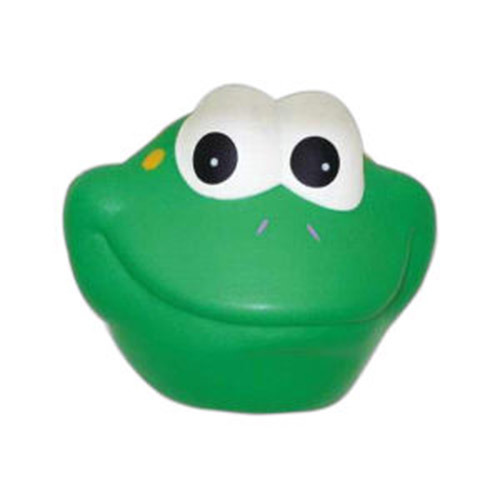 Put your logo on this friendly green frog face stress ball and start leaping forward!